Treat yourself like a queen! Here’s another outstanding creation from our friends at The Edinburgh Natural Skincare Company. 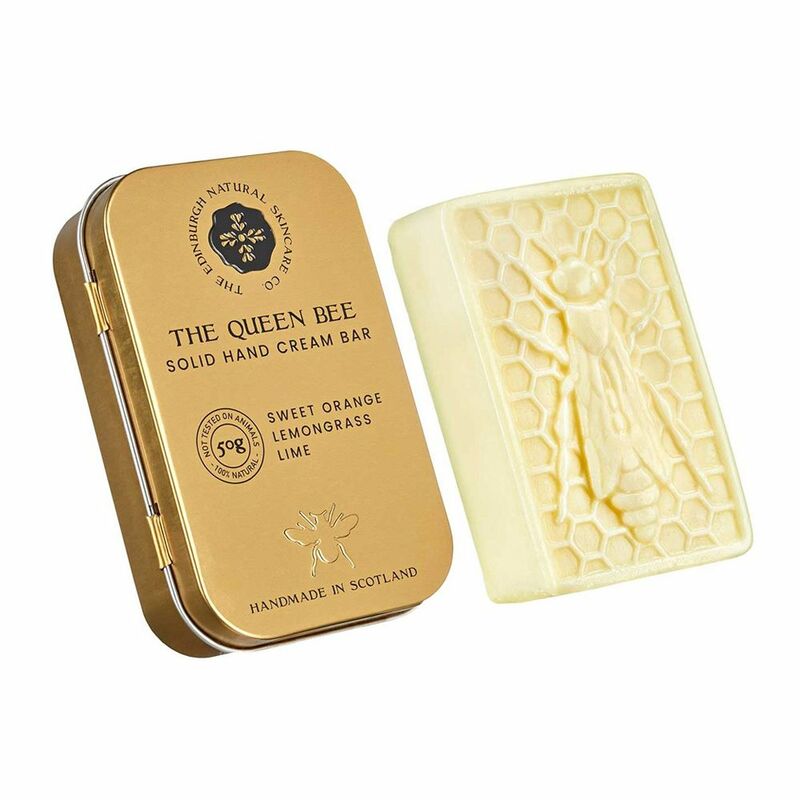 The Queen Bee Solid Hand Cream Bar is this company’s most popular product, and it’s easy to see why. It’s made from all natural ingredients and handmade in Scotland, just like all their products. About the size of a small bar of soap, it sports an embossed bee on honeycomb and is made out of pure beeswax, cocoa butter, and coconut oil. Upon warming the bar in your hands, a lovely, invigorating scent of orange and lime with a hint of lemongrass from essential oils imparts. Though touted as a hand cream, don’t miss out on bestowing moisturizing goodness to all your dry patches, especially elbows and heels. It’s solid so it’s perfect for air travel since you won’t have to worry about it taking up precious space in your one quart ziplock bag reserved for all your liquids! Whether it’s a gift for someone or for yourself, the travel-friendly Queen Bee Solid Hand Cream Bar from the folks at The Edinburgh Natural Skincare Company is a must-have!